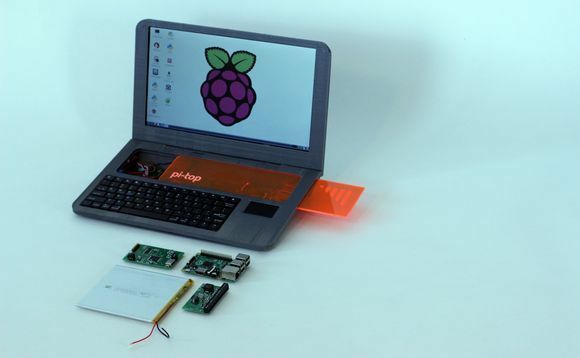 Pi-Top is a build it yourself Raspberry Pi laptop. It provides a platform to expand your knowledge in hardware creation. The kit takes you through each of its components and their functionality, so that you can use Pi-Top as a tool for your own projects in the future. Pi-Top focuses on teaching people how to create real hardware. Online and integrated lesson plans teach you how to understand electronics, create Printed Circuit Boards, and 3D print objects. 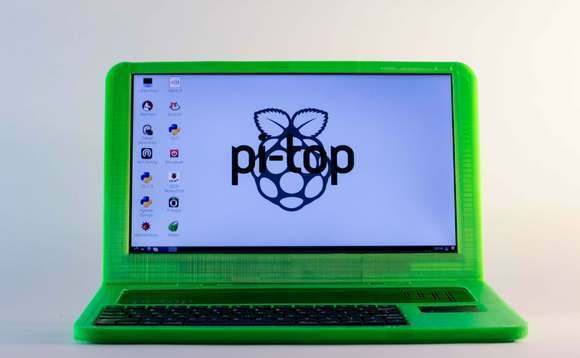 Pi-Top is the world’s first 3D printable laptop. Which allows for a huge amount of customization for the end user. Pi-Top focuses on teaching you the key skills to start making real hardware products. By combining Printed Circuit Board (PCB) design and 3D Printing we give you the knowledge to create any hardware product you want to make – by giving you the skills to create you are able to apply them to any area you are interested in. I am a self-taught software developer, I actually studied Law at Kings College London. 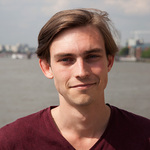 Ryan [Dunwoody, Co-Founder] is an Engineering graduate from Oxford University. When Ryan and I first met 9 months ago, almost the first thing we discussed was our own Raspberry Pi projects. We both thought it was a great learning tool, but that it was limited by being reliant on an HDMI screen and being inherently non-mobile. We want to make hardware as accessible to learn as software is now, and a big part of that is giving people an open source platform, that can be used anywhere, to learn from and contribute to. That is why we made Pi-Top. 1) Fees are roughly half that of Kickstarter – Kickstarter also has purchase leakage (when a contribution does not successfully get paid when you hit your goal). On Indiegogo (because they take the contribution amount as soon as a user pledges) this is not an issue. As a hardware product it is important we have a stable outlook on our finances and low fees, in our opinion Indiegogo is the better platform for this. 2) Indiegogo offered their support and experience to help us run the funding campaign and make Pi-Top all it can be. 3) Indiegogo allows us to sell to a truly global audience. The Pi-Top website is regularly visited by people from over 110 countries, by launching on Indiegogo we can take payments from all over the world and help create a globally connected network of makers, builders and creators. We believe it is. Crowdfunding has changed the barriers to entry for innovation and allowed people like Ryan and I to bring a new type of product to the market and get the funds required to start manufacturing. In fact the 3D printer we prototyped Pi-Top with, was itself a crowdfunded project a few years back. 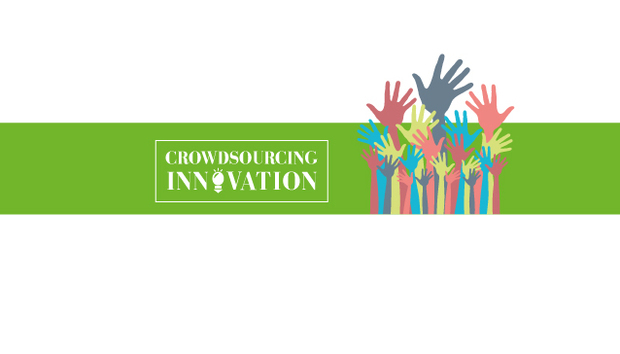 We simply would not exist if it weren't for crowdfunding platforms like Indiegogo. Having launched the campaign we are very happy with the result. We were lucky enough to be featured in the Indiegogo newsletter and that really helped the campaign get funded so quickly. The interface is easy to use and you can easily stay connected with your contributors. The main lesson is to prepare as well as you can, but know that there will be things that go wrong or are out of your control. Plan the correct amount of time for yourself to launch and set out step by step goals – it makes organising a campaign a lot more straight forward. Who are you aiming the Pi-Top at, and what can they get out of the experience of building their own laptop? The Pi-Top kit is built with beginners in mind. Our goal is to make hardware as accessible as software is now, and a big part of that is making it beginner friendly. No soldering is required to build Pi-Top and a beginner should expect to be able to complete the kit in an evening. Pi-Top focuses on teaching you the key skills to start making real hardware products. By combining Printed Circuit Board (PCB) design and 3D Printing we give you the knowledge to create any hardware product you want to make. The Pi-Top kit is the start of a journey that will see you gaining the skills to build and code your own hardware. Once a person has got the basics of making & programming with Pi-Top, what would you recommend they do next? Once you feel like you can make your own project we encourage you to do just that. You could use our robot Hat to make a fully customisable and programmable robot with a range of customisable sensors. With the home automation HAT you will be able to practice and learn how to use data collected by sensors to create automated devices. Learning to use input and output data from sensors allows you to create a whole range of projects from ‘internet of things’ products to more standard devices such as a tablet or phone. How would you describe the current Hobbyist Programmer/Maker community? Is it growing or declining, and why? I think the current Maker community is very active and growing. Raspberry Pi continues to sell more and more units every year. In London, stores like iMaker and makersCAFE show the interest in ‘making’ is growing. The ‘Internet of Things’ and 3D printing markets have really broadened what is possible to make in your own house and I only see that becoming more popular as the costs reduce and technology becomes better. Right now we are focused on fulfilling Pi-Top to our Indiegogo campaign contributors. Currently we are hoping to hit our $150,000 stretch goal that will allow us to upgrade the Pi-Top to be compatible with more microcomputer boards such as the BeagleBone Black and the Udoo. In the future we would like to work more closely with educational institutions to enable schools to take advantage of Pi-Top's mobility and learn with Raspberry Pi in any class room, anywhere in the school, without the need for HDMI screens or USB mice and keyboards.